PSNews-The Ninh Binh Provincial Police Department has been considered as one of the leading police unit nationwide in regularizing its communal police force, as it has gained various notable achievements in the work. According to the Ninh Binh Provincial Police, the unit in recent times posted 406 professional police officers to 123 communes in the province to ensure local security and order, following a pilot project on regularizing communal police force initiated by the Ministry of Public Security. Good results of the reinforcement of commune police force in Ninh Binh Province. Ninh Binh city's Ninh Nhat and Ninh Phuc communes had once been the two localities with a complex security situation, but the presence of the commissioned police officers has brought about significant changes to the security and order situation of the two communes. The positive results have been recognized by the local authorities and the people. 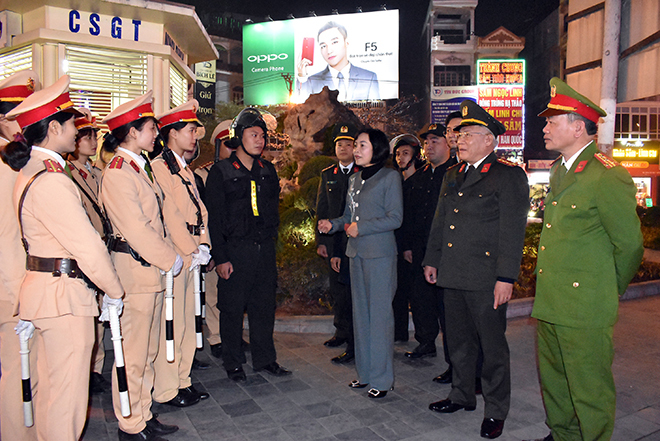 According to Senior Colonel Tong Manh Hung, Chief of the Ninh Binh City's Police, the unit has sent a special working group of 9 professional officers to Ninh Phuc commune since October 2017. After 5 months of operation, the working group helped the commune police force better grasp the local security and order situation and participated in resolving conflicts, disputes , and especially group complaints about ground clearance compensation for the Phuc Son industrial park project. Realizing the positive outcomes of deployment of professional police officers to communes, the Ninh Binh City's Police decided to withdraw the working group and officially posted 8 officers mainly in charge of security and order in Ninh Phuc commune. Meanwhile, the Ninh Nhat Commune Police Post, which had already had one or two regular police officers, was reinforced. Accordingly, the Ninh Binh City's Police increased the number of regular police officers in the commune post to 8. "In the past, only I was responsible for one big commune. It was difficult for me to handle some complicated issues. Now, with 8 other comrades, one responsible for one village, the process of receiving and handling happenings in the commune will be carried out timely and appropriately. We can fully grasp and resolve contradictions between local people and cases at the grassroots level", said Captain Nguyen Van Thanh, head of the Ninh Nhat police working group. 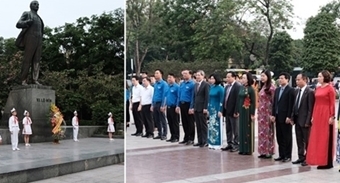 Meanwhile, Nguyen Nhu Bang, Chairman of the Ninh Nhat Communal People’s Committee spoke highly of the pilot program on reinforcing the communal police force by regular policemen, saying the security and order situation in the commune has been significantly improved since the deployment of commissioned police officers to the locality. Colonel Dinh Ngoc Khoa, Deputy Director of the Ninh Binh Provincial Police Department said the unit has strictly followed the direction of the Ministry of Public Security on regularizing the communal police force and deployed commissioned police officers to the province's 123 communes. He said the Ninh Binh Provincial Police Department will further promote this process to ensure security and order and handle cases at the grassroots level. The idea of regularizing the commune-level police force was first proposed at a meeting of the National Assembly Standing Committee in 2015 to improve the complex security problems affecting rural areas in the country. On November 20, 2018, the National Assembly has approved the Public Security Law (amended), which will serve as an immediate and important legal basis for streamlining the apparatus of the Public Security Forces and reorganizing the forces for more efficiency and effectiveness. Regarding the organizational system of the People's Public Security Forces (Article 17), especially the commune police force, the amended Public Security Law provides that the building of a new commune police force must follow a roadmap to ensure the feasibility, effectiveness and comprehensiveness, in line with the implementation of the Party’s policy on the reform and streamlining of the political system for effectiveness and efficiency. Meanwhile, the Public Security Forces must also ensure the personnel, facilities and conditions for the building of the professional commune police force. (Currently, combatants at the commune police level are largely semi-professional and non-commissioned. The regularization of the commune police force means commissioned police officers must be assigned to in-charge positions at commune police stations). To avoid the waste of human resources, the current officers at commune police stations will continue their current tasks of ensuring security and order at the grassroots level.